Angelina Jolie at the 2009 Academy Awards in Lorraine Schwartz emerald earrings. Beyoncé at the 2011 MTV Video Music Awards in Lorraine Schwartz emerald and diamond jewels. Taraji P. Henson in Kimberly McDonald earrings with Gemfields emeralds at the 2016 Golden Globes. Although emeralds are one of the big four precious gems, they more or less disappeared from the red carpet after Elizabeth Taylor’s 1960s glory days. 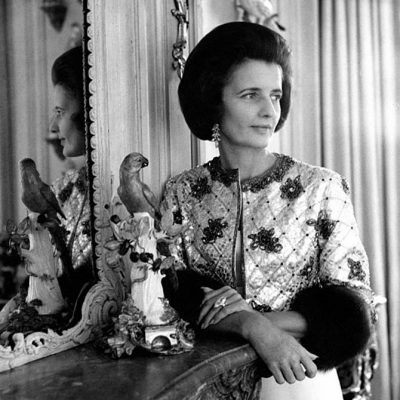 The formal settings the gem had become associated with fell out of favor with celebrities for years. And then along came Angelina Jolie. The actress stunned the world at the 2009 Academy Awards wearing 115-carat pear-shape emerald drop earrings designed in a very simple setting by Lorraine Schwartz. “Angelina was very specific about wanting clean lines and a no-nonsense design,” explained the designer. These gargantuan and gorgeous stones ignited a new era for the gem that is still going strong. 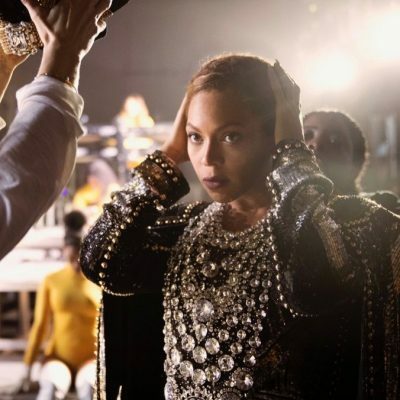 Beyoncé seems to put on emeralds for special occasions. 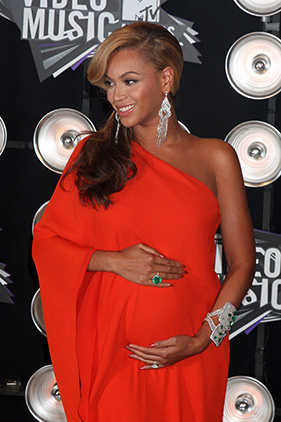 When the superstar officially announced she was pregnant with Blue Ivy at the 2011 MTV Video Music Awards she highlighted her bump with a glorious Lorraine Schwartz emerald ring. Two years later she donned a dazzling pair of cluster emerald earrings by Lorraine Schwartz for her performance at Obama’s 2013 Inauguration. Taraji P. Henson accepted the 2016 Best Actress Golden Globe for her role as Cookie on Empire in a pair of Kimberly McDonald earrings set with two cushion-cut Gemfields emeralds weighing a total of 108-carats. Julianne Moore is a major fan of the green gem that matches her eyes. Her most recent outing in the stone was at the 2016 Cannes Film Festival premiere of Café Society where she wore pendant earrings from Chopard’s Green Carpet Collection featuring emeralds from Gemfields.